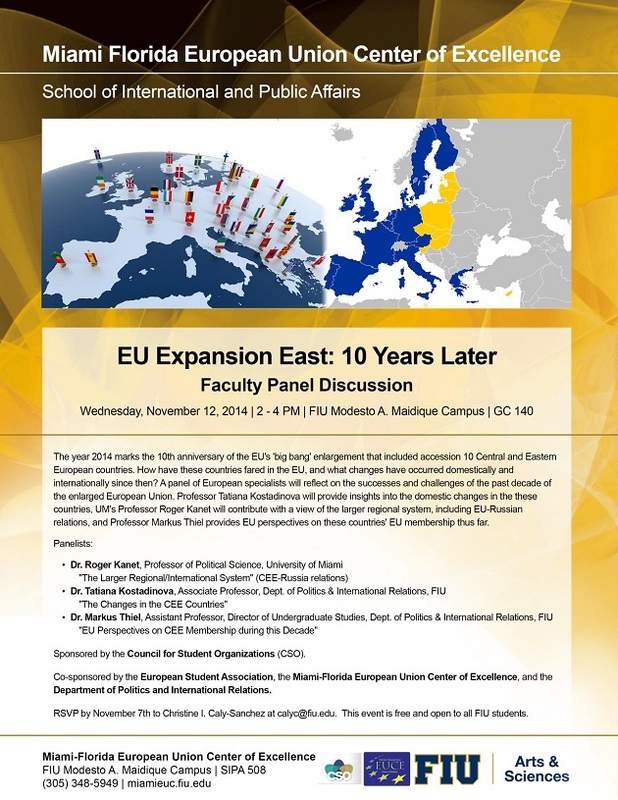 Roundtable on "Reflections on the EU Expansion East: 10 Years Later"
2014 marks the 10 year anniversary of the EU's 'bing bang' enlargement of 10 Central and Eastern European Countries to the European Union. How have these countries fared in the EU, and what changes have occurred domestically and internationally since then? A panel of European specialists will reflect on the successes and challenges of the past decade of the enlarged European Union. "The changes in the CEE countries"
"EU perspectives on CEE membership during this decade"